I love tea. Minty loves tea. Who else loves tea? Some people might say that many Brits are obsessed by tea. They would be right. Tea tea tea tea tea. Excuse me for a few moments while I harp on about tea. I love coffee as well but when you want a cup of tea, nothing else will suffice. I am bewildered by people who say "oh there's no tea left, I'll have coffee instead" as though those beverages are somehow interchangeable! 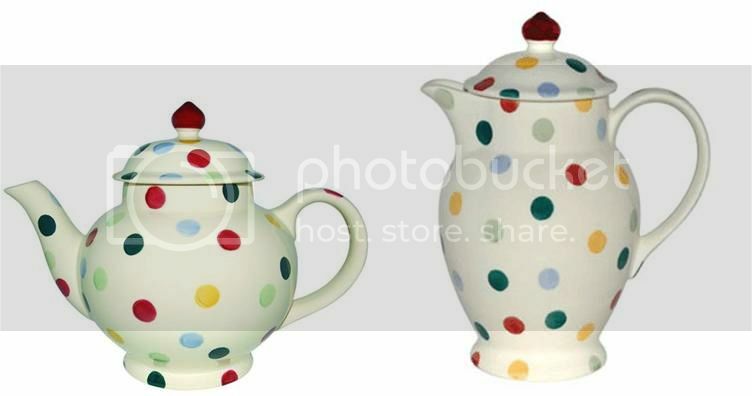 I also love teapots. Proper tea made in a proper pot and drunk from a proper cup. 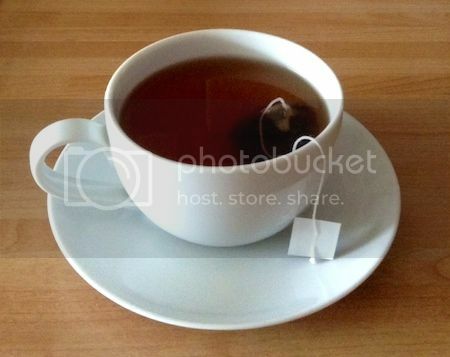 A tea cup - not a coffee cup and not a mug. No, a tea cup. Hope that is clear. The tea cup must come with a saucer, otherwise there is no sensible place to put your cake or biscuit. And so I was amazed and delighted to see that in July the Store will be offering a tea set. This may actually be something I can buy to use up those pesky remaining simpoints. I haven't liked the last bunch of stuff in the Store but tea-related paraphernalia would be heartily welcomed by Caspin and friends. It will be an anxious few weeks wait now until the tea set is properly revealed. Will it be ugly (possible)? Will it be preposterously expensive (yes)? Will it be bugged to hell (chances are fair)? Let us take a look at this initial image. As the young people say: OMG. The tea cups are acceptable. They are a teacup-shape. I see saucers. Apparently sims are going to do that thing of sticking their little finger in the air while drinking. I may have to look away while that happens. The teapots are not acceptable. They are coffee pot-ish. They are displeasing to my eyes. And that sugar bowl is freaking huge. I don't take sugar. The milk jug is also gigantic. And you'd better be able to have a version without that pattern. Also what is going on with this picture - where are the boys? I demand equal teatime rights for male sims! Also for non-floral-dress-wearing female sims. Don't make me get out my placard! I fear that sims will have to sit on a dining chair in order to drink tea. I want to drink tea on the sofa. Yes, I know, my demands are ceaseless. How else are we going to have a cup of tea while watching GoT? Tea pots, in which you make tea, are on the left. Coffee pots, from which you serve coffee, are on the right. I have mixed emotions about this and, well, I need a cup of tea. Sorry, I will calm down about this now. Someone pass me a hobnob. For the avoidance of doubt, this is what I want the teacups to look like. A nice white teacup. I do hope that the pattern on those Store teacups is optional. OK, I need to go drink that now. It is not just for demonstration purposes. 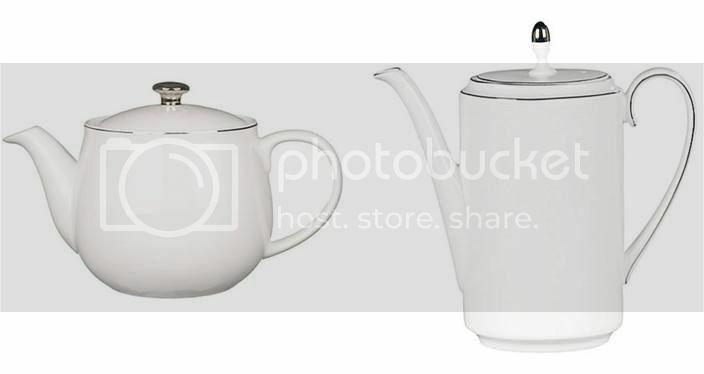 What they have as teapots are the old fashioned pitcher pots which proved unpopular in the 19th century as anything but ornamentation. A tea pot needs to be short & fat to allow you to stir the pot or squeeze the bags (if you are not using loose leaf). A tall tea pot not only makes this more difficult, but produces watery weak tea, the sort of slop seaside cafes have the cheek to charge a £1 for. When coffee became more popular, the abandoned pitcher pots found their role, providing room for the coffee grit to settle at the bottom (rather than in your cup) in those pre-instant days. Typical of EA to get it wrong again. Who does their research for them, the Sun? See, they should have consulted here before finalising the designs. They know nothing (Jon Snow). It would seem that the set will also include yet more outdoor lights (they are quite big on those at the moment), which I must admit I do like the look of, plus a canning station thing so that you can make jam and preserve fruit and veg. They are unlocking corn plants and introducing cucumbers so you can make relish. I really do like the idea of this set. I was disappointed with the bakery as a venue (because it doesn't work properly!) but I did love the bakery oven and all the new cakes and pies that you could make. This canning malarky is another way for sims who like gardening and cooking to have fun and I really do enjoy playing those types of sims. With all the farm stuff from previous sets, plus all the harvestables now in the game, self-sufficient sims are go! I like tea, but I'm not a fan of teapots. That's all right, Ollie. Minty is meant to make our tea so we can leave it all in his capable hands.